Hello, all. Recently, I must say, Listverse became my go-to website, the first site I check for the day as I go onto the internet, even before viewing my email! After viewing this list, people should think of the Caribbean as much more than white sands and azure-blue seas. Without further ado, I’d like to pay homage to these spectacular and beautiful islands, I am proud to call home. Cuba (fondly called El Cocodrilo by the natives) and many other countries are known for having a lot of natural resources, that are exported throughout the world. Resources like bauxite, oil, iron ore, asphalt and nickel are some of the most common. Bananas, cocoa and coffee industry are also popular sources of income in these islands (like Jamaica), and in most smaller islands that do not boast natural resources, these are the major contributors to their economy, apart from tourism. One of the most awesome facts that you’ll ever hear about these isles, is that roughly only 2% of the islands are inhabited. Think of the islands that you know & that figure only represents 2% of the total islands that are down there. It is amazing the amount of land, there is down here, only seen and roamed upon by wildlife. 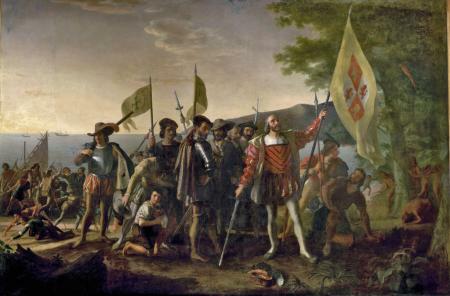 On his voyage to Asia (the Indies) in 1492, Christopher Columbus had believed that he had in fact arrived at the aforemetioned destination and the region was named West Indies. 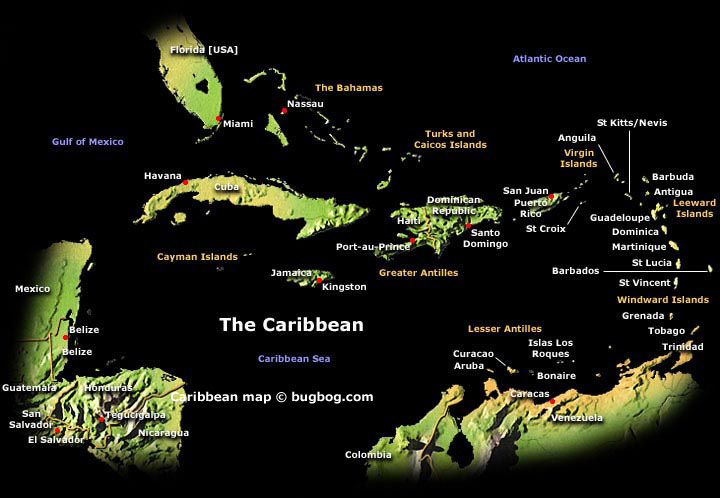 The name “Caribbean”, comes from the Amerindian tribe, the (cannibalistic) Caribs (who were some of this writer’s ancestors). 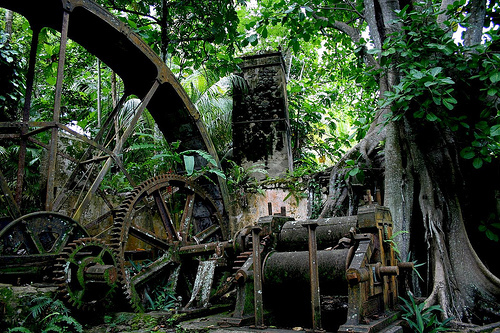 The colonization of the islands by the Europeans has left its mark, for there are many structures still existing that are major tourist attractions. Most residents of the islands are descendants of African slaves. They were brought to work in sugar plantations and as slavery ended, they remained in the paradise like conditions. The culture, religions and languages of each country / dependency are unique, due to the different monarchies that ruled during the said slavery days. For example, the islands of: Haiti, Martinique and Guadeloupe have a very rich French heritage; while Cuba and Puerto Rico are strongly Spanish based. Religious beliefs also go with the former rulers and ancestors. 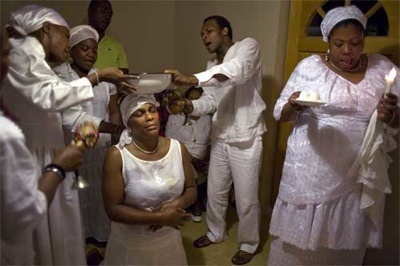 For instance, in Haiti, voodoo (voodu) is very rampant, because of the African slaves, who brought that form of witchcraft to the West Indies. As in item number 5, the history of the Caribbean has heavily influenced the musical genres. 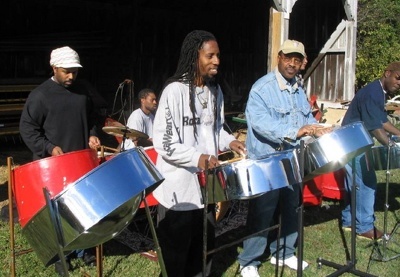 Some of the more popular styles of music are reggae, calypso, reggaeton, salsa, (East Indian inspired) chutney & pan music. Pan music, also known as steel pan music is made from steel tins or drums, that are fashioned to carry tunes and make lovely sounds. There are only two seasons in the West Indies. Dry and rainy seasons. The dry season lasts from roughly December to May and it is very hot, breezy and dusty. Then, from June to November is the rainy or hurricane season. At this time, a number of storms and hurricanes develop near the West African coast and make their way across the Atlantic Ocean to the Caribbean. Very dangerous period of time, where some countries are unfortunate to experience these disasters, almost every year, like Grenada and Haiti. Interesting to note: The Caribbean lies on the Caribbean Plate and it was noted on a news report, that a major earthquake (apart from the one that hit Haiti in January, 2010), that is expected to strike, is 20 years overdue! Food in the Caribbean is based on mostly African, Spanish, Chinese, and East Indian, but generally are crossovers of the cuisines from the rest of the world. Spices, peppers and many different types of herbs (seasonings) are heavily used to prepare most meals. Popular dishes here are jerk chicken (Jamaica), fried flying fish (Barbados), general seafood which is prepared in many different ways, and stewed peas and beans, like pigeon peas. Roti, which is East Indian based, contains curries and spices. 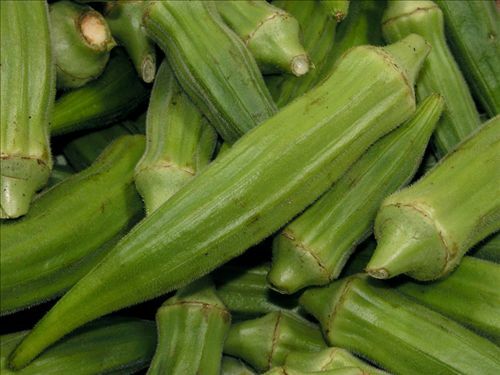 Callaloo soup, which is made of dasheen leaves, okra (pictured above) and sometimes crabs, is eaten with rice sometimes, and is most prevalent in Trinidad and Tobago. Flora and fauna (flowers and animals) are in abundance and wide variety. Dry and moist forests, savannas and mangrove swamps are what covers the lands that are not used by the natives for living on. Many beautiful flowers make their home here; for instance the Bwa Kwaib is the national flower of Dominica, the Bougainvillea of Grenada and the Heliconia of Montserrat (pictured above). Fruit trees can also be found all over the place: like the mango, papaya, orange, banana, guava, pineapple, tamarind and watermelon. Some of the wildlife in this region are endangered species and as such, are protected by the respective governments of each island. Hunting is permitted, but only at certain times of the year, with the agouti (rodent), iguana, manicou (opossum) among others being hunted. Animals like the manatee (sea cow), Bahamian hutia and Aruba Island Rattlesnake are outright protected from being harmed. Interesting to note: I recently learnt of a species of oyster, in the West Indies that can climb (mangrove) trees! 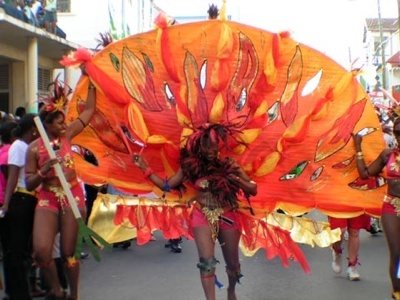 The main festival that locals and tourists partake of, throughout most of the Caribbean isles would be Carnival. This explosion of color, energy and fun takes place in Dominican Republic, Antigua, Jamaica, St. Kitts and Nevis and Barbados. This festival is varied in the different territories, but one thing remains true. The colorful, lovely costumes and fun! The carnival is the final big party before the penitential season of Lent begins. Other activities are carried out, with most bearing similarities to Carnival. Crop Over Festival in Barbados, Tumba Festival in Curaçao and even St. Patrick’s Day in Montserrat are hosted throughout the year. All carrying deep historical significance. Of course, this is what almost any non-islander thinks the Caribbean is all about: Sun, sea and sand! The majority of foreigners come here to experience the natural beauty of the land and trees, and to inhale the pure, clean air while soaking in the sun. Eco-tourism is a big hit, as well. People visit sanctuaries like the Asa Wright Nature Centre in Trinidad, Little Tobago also known as Bird of Paradise Island, The Reef Resort in the Cayman Islands and Balenbouche Estate (pictured above) in St. Lucia for the viewing of rare animals in there natural habitat. Some tourists return year after year for all the other reasons mentioned in this list and many more.